IMPORTANT: Lord of the Glens cruises must be reserved over the phone. Call us for more information. 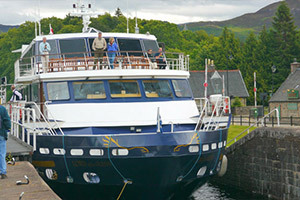 Lord of the Glens was built to traverse the many locks and canals that makeup the landscape of the Scottish highlands. Guests are able to explore the many castles that dot the Scottish countryside as well as the islands of the Inner Herbides. Doing these stops along with the luxurious accommodations onboard makes for one truly memorable trip. Guests can enjoy kayak and bike rides launched from Lord of the Glens allowing for the opportunity to get some exercise as they explore and discover. Experts onboard will make sure that guests don't miss a single thing during their trip. Expert photographers will show guests how to adjust settings to capture the perfect picture any time of day. Local naturalists will host nightly lectures on the surrounding landscape. Historians will guide tours of castles and recount the epic battle that took place hundreds of years ago. 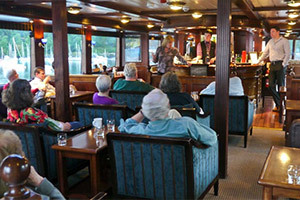 Culinary experiences onboard Lord of the Glens mirror those of the local Scottish countryside. 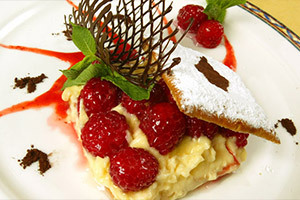 Guests can dine on local fare that has been a staple of the Northern British Island for centuries. By using local sustainable ingredients, chefs onboard can ensure that Lord of the Glens will be able to return season after season. All excursions and explorations on Lord of the Glens are included in the cruise price. That means guests get to spend more time experiencing and less time worrying. From wildlife viewings to visits with local peoples, all will be provided for you. Huge Discounts & Low Price Guarantee on all Lord of the Glens Cruises! Book any Lord of the Glens cruise with us and you'll get the best deal possible, regardless of the ship or sail date! Because of our huge price discounts and "Low Price Guarantee," nobody beats our Lord of the Glens cruise prices, so look around and you're sure to find the best Lord of the Glens cruise deal possible when booking with us! We do not charge booking fees on any cruises! 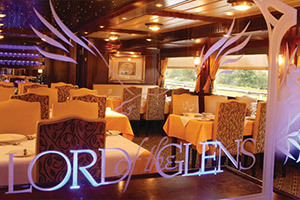 You're sure to enjoy an affordable Lord of the Glens cruise when booking with us! Our special offers on Lord of the Glens cruises may not be combinable. Certain restrictions apply to each offer. View terms and conditions during the online booking process. Oceanview staterooms features a picture window for outside viewing. Staterooms are decorated with mahogany wood furnishings. Staterooms feature air and heating controls, writing table and still, and a satellite TV. Solo Oceanview staterooms features a picture window for outside viewing. Staterooms are decorated with mahogany wood furnishings. Staterooms feature air and heating controls, writing table and still, and a satellite TV. 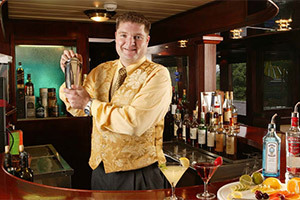 The deck plans of Lord of the Glens provided on this page are subject to change. We reserve the right to correct errors. Please verify all information with Lindblad Expeditions directly.